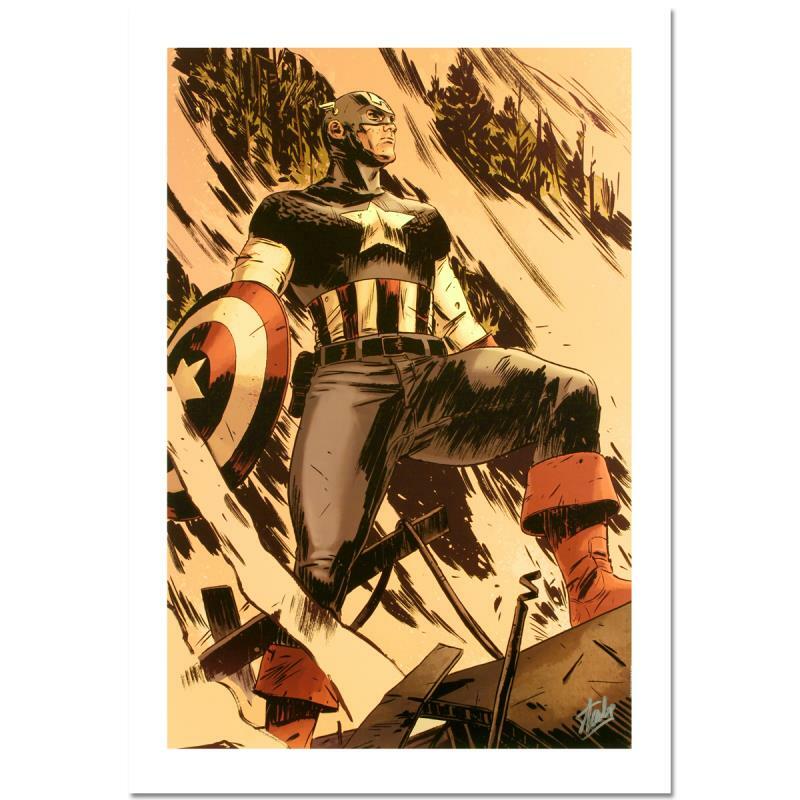 A piece of comic book history, this limited edition, from original art by Mitchell Breitweiser, depicts an iconic image of Captain America. Since 2005, Mitchell Breitweiser has been penciling, inking, and painting his way through dozens of Marvel comic books and covers. 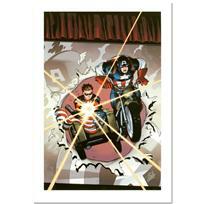 Mitch has left a lasting impression with his Captain America books, including 2010's Captain America: Patriot Mini Series. 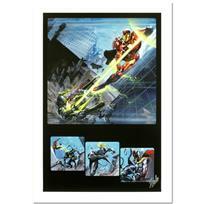 "Operation Zero-Point #1" is a limited edition giclee on canvas by Mitchell Breitweiser presented by Marvel Comics, hand signed by the Great Stan Lee (1922-2018) and numbered out of only 4! This piece has been custom framed using acid free materials, and is ready to hang! Includes Certificate of Authenticity! Measures approx. 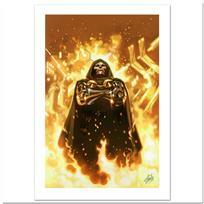 30" x 41" (with frame); 21.5" x 32.5" (image). 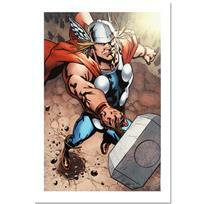 Shipping and Handling: $49.95 FREE SHIPPING! 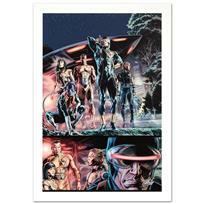 "Wolverine: Origins #34" Limited Edition Giclee on Canvas by Doug Braithwaite and Marvel Comics. Numbered and Hand Signed by Stan Lee (1922-2018). Includes Certificate of Authenticity. 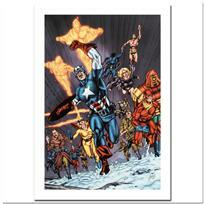 "Captain America #2" Limited Edition Giclee on Canvas by Steve McNiven and Marvel Comics, Numbered and Hand Signed by Stan Lee (1922-2018). Includes Certificate of Authenticity. 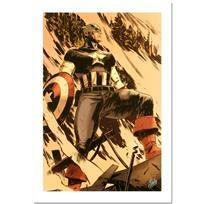 "FF #2" Limited Edition Giclee on Canvas by Daniel Acuna and Marvel Comics. Numbered and Hand Signed by Stan Lee (1922-2018). Includes Certificate of Authenticity. 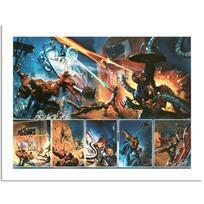 "Avengers/Invader #11" Limited Edition Giclee on Canvas by Steve Sadowski and Marvel Comics. Numbered and Hand Signed by Stan Lee (1922-2018). Includes Certificate of Authenticity.